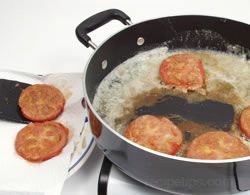 Deep-frying, also known as deep-fat frying, is a process of immersing food in a deep pot containing heated oil. The turkey cooks quickly, producing a crispy surface over a tender and moist interior. 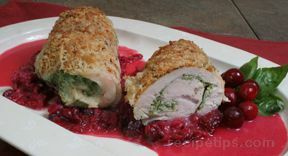 It is becoming a popular alternative to roasting a whole turkey. 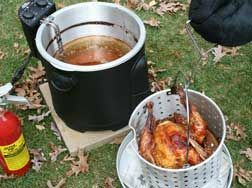 When deep-fat frying a turkey, it is best if the turkey is 10 to 12 pounds or smaller for ease of handling and better results. 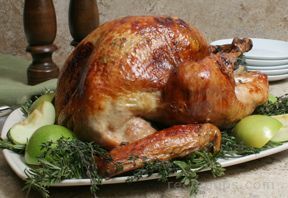 Large turkeys are difficult to handle, which increases safety concerns when cooking with hot oil. The turkey should be no more than 15 pounds because larger turkeys take too long to cook, resulting in an exterior that may be burned while the interior is still undercooked. 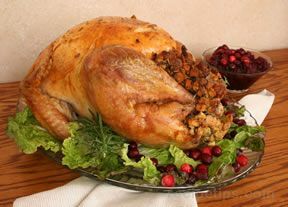 A whole turkey can be cooked as is or it may be covered with a seasoned crumb coating, a dry rub, or injected with a marinade. 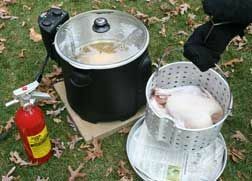 To deep-fry, you will need the proper equipment to deep-fry the turkey and to provide safety when cooking and handling it. Shown below are the items you will need to cook the turkey. 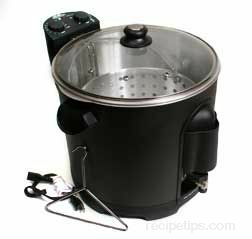 There are two basic types of deep-fry cookers that can be used, electric and propane. Each is described below. 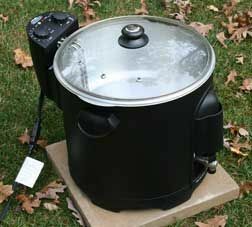 Electric Deep-Fry Cooker: An electric cooker can be used inside or outside, but because of the hot grease it is best if it can be used outside. It only needs electricity to run and generally comes with a thermostat control gauge for easy temperature control. Some models will also include a timer. The cooker will include a basket and a lifting hook for easier handling of the turkey when placing in the oil and removing it when it is done. Some models have a drain value for easy removal of the oil and most have a safety feature that shuts the cooker off is the oil becomes to hot. 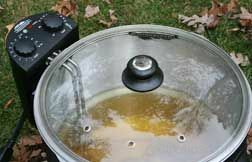 Propane Deep-Fry Cooker: A propane cooker must be used outside because of the gas require for cooking. 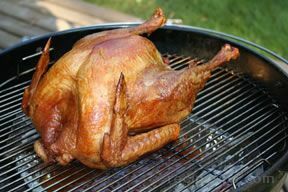 A propane cooker consists of a propane burner, a 30 to 60 quart heavy pot, propane gas tank, a basket or a turkey stand, and a lifting hook for placing the turkey in the hot oil and for removing it. It does not have a thermostat control so a long candy/deep-fry thermometer is necessary to control the temperature of the oil. 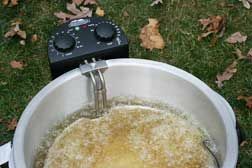 A candy/deep-fry thermometer is needed if the deep-fry cooker does not have a thermostat control or a thermometer on the unit. 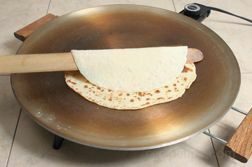 It is used to control the temperature of the oil when heating and during the cooking time. A meat thermometer is needed to check doneness of the turkey at the end of the cooking time. The instant read thermometer can be a dial or digital type. 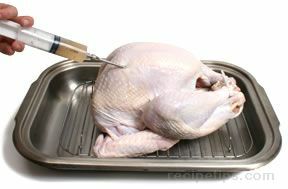 If you are going to inject flavoring into the turkey before cooking, you will need an injector or a large syringe. 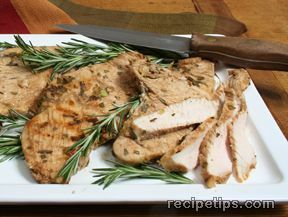 The marinade or flavoring is prepared, placed in the injector, and then injected into the breast, legs, and thighs of the turkey. It is necessary for safety reasons to have the mitts and holders for protection against hot oil and appliances. Long oven mitts should be worn to protect hands and arms from splattering grease when the turkey is placed in the hot oil and when it is removed. It is important to have a fire extinguisher within reach when cooking with the hot oil. If the oil should over heat it could cause spontaneous combustion, which would result in a grease fire. Also keep in mind when using a gas propane cooker, anytime a flame is being used for heat, there is a chance of a fire. It is best to be prepared. Any cooking oil can be used for deep-frying as long as it does not smoke or burn at temperatures that may reach as high as 425°F. 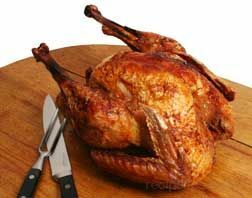 Oil low in saturated fat is best to use because the turkey will absorb a small quantity of oil while it cooks. Several popular types of oil used are peanut oil, corn oil and canola oil. 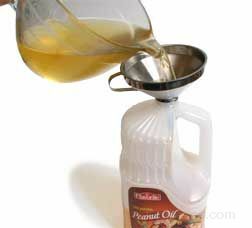 Peanut oil provides a good flavor and is often used for deep-frying. 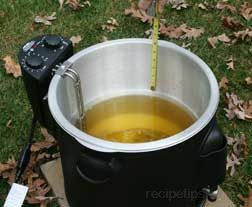 It is extremely important to use the proper quantity of oil when deep-frying a turkey. 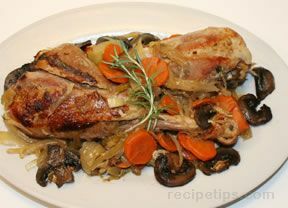 If too little oil is used, the turkey may not be totally covered with the oil when it is placed into the pot. If too much oil is used, the oil may overflow the sides of the pot when the turkey is inserted creating an extremely dangerous situation. 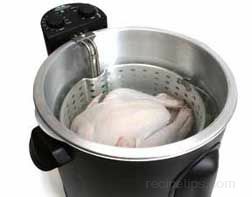 Many deep-fryer models have gauges to determine the correct volume of oil to use for various weights of turkey. 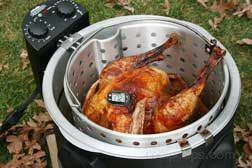 If no gauge is included with the equipment or to be sure you are using the correct amount, the following steps may be used for determining the volume of oil to use for the size turkey you will be cooking. These steps should be done before the turkey is injected or seasoned. Remove the neck, giblets and any other packets from the cavity and clean the turkey the same as if you were preparing it for roasting. If the turkey has leg ties or a pop-up indicator inserted, they should also be removed. Place the turkey in the cooking basket or on the turkey stand, making sure the turkey is placed in the same manner it will be cooked, such as feet up on a stand or breast up in the basket. Place the turkey and basket into the pot and begin filling with water. Add water until the turkey is totally immersed and there is 1 to 2 inches of water above the turkey. Remove the turkey from the pot and measure the distance from the top of the pot to the surface of the water. 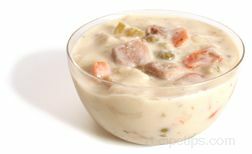 Be sure all the water was emptied from the cavity of the turkey when removed from the pot. When ready to start heating the oil, add the oil to the pot up to the same level where the water had been. The neck, giblets and any other packet in the cavity should have been removed before measuring the oil. Be sure the turkey is completely thawed. Check cavity for ice crystals. Trim excess fat and anything from the cavity that is not desired. Rinse the turkey, paying close attention to the cavity. After rinsing, dry the turkey thoroughly. 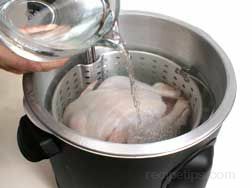 It is important to dry the turkey completely because any water that gets in the oil will cause the hot oil to splatter. Dry the turkey on the surface and in the cavity using paper towels. 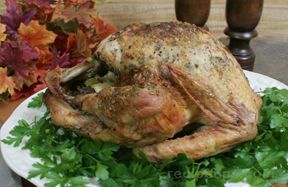 Season the turkey by using a rub, breading or injecting with marinade. 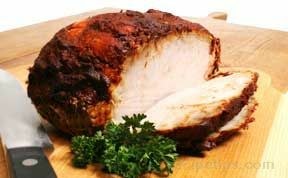 Sometimes the turkey is only seasoned with a spice, such as cayenne pepper. 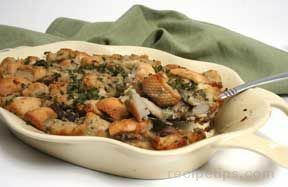 The turkey can also be cooked without any additional seasoning or flavoring added. If injecting a marinade or flavoring, it should be spread throughout the turkey as much as possible with the least amount of punctures. For more information on how to inject a turkey, see Flavor Injecting Turkey. Inject 2 or 3 ounces in each breast and approximately 1 ounce in each leg and thigh. 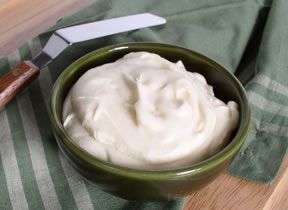 If you prefer to use a rub, there are many different seasonings, flavorings or a combination of both that can be used. 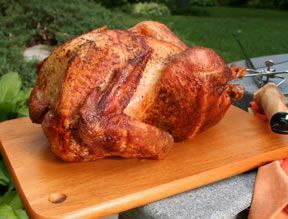 For more information about using a rub to season the turkey, see Grilling with Marinades and Rubs. Before placing the turkey in the basket or on the turkey stand for cooking, be sure to check the turkey again for moisture and pat dry if necessary. 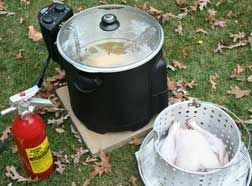 Before you begin deep-frying your turkey it is a good idea to review all the safety tips below for preparing the cooker and cooking the turkey. Select a location outside in a grassy or a dirt area that is level to place the cooker. Do not place on concrete because the splattering grease will stain it. Do not place on a wood deck because the wood could start on fire. If using an electric cooker and you must use an extension cord, be sure you select a spot where there will be no chance of someone catching the cord. Begin filling the pot with oil. 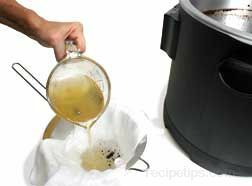 Used oil can be used if it is still good but always have some additional on hand because you may need more than what was left from the previous deep-frying. Do not mix different types of oil because they may have different smoke points, reducing the overall smoke point of the oil. Fill the pot with oil to the point that was measured when determining how much oil to use as stated above. If using a propane gas cooker, be sure to have a candy/deep-fry thermometer attached to the side so that the end is in the oil at least 1 inch. 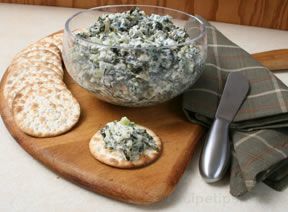 Prepare a large cookie sheet with newspapers or a thick layer of paper towels lining the bottom. Have this sitting close by the cooker for when the turkey is done so you can set the turkey in the basket or the stand on it to finish draining. 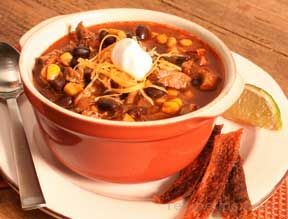 If using an electric cooker turn the thermostat control to 375°F. If using a propane gas cooker, turn the flame on but do not turn it all the way up. 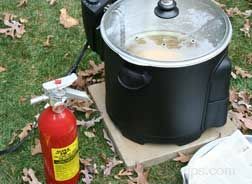 This will allow you to turn the flame up once the turkey is placed in the hot oil and the temperature of the oil drops. It may take 20 t0 30 minutes for the oil to heat up properly. If using an electric cooker, it may take close to an hour before the oil is hot enough. NOTE: Once the cooker has been turned on, DO NOT leave it unattended. 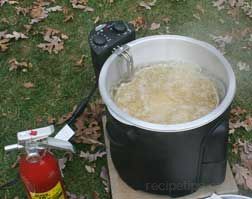 One person should not deep-fry the turkey by themselves. There should be at least two people around at all times. One person is needed to attend to the cooker and another to do the other tasks. Two people should help lift the turkey into the hot oil and remove it when it is done. Be sure to have a fire extinguisher within reach at all times when deep-frying. The turkey should be placed in the basket horizontally with the breast up. If placing on a turkey stand the turkey should be placed vertically on the stand with its feet up. Check the turkey for moisture. If needed, use a paper towel again to dry the turkey off. 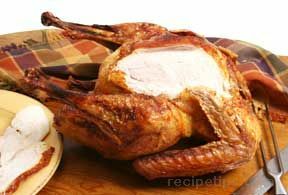 If there is no basket or stand to hold the turkey, use a long heavy tool such as a clean fireplace poker to insert into the cavity of the turkey and then lift it carefully into the hot oil. Be careful that the turkey does not slip off the tool into the hot oil because that could cause the oil to splash out and cause harm to anyone standing nearby or to the cooker. Check the oil temperature and when it has reached 375°F, it is ready for the turkey. 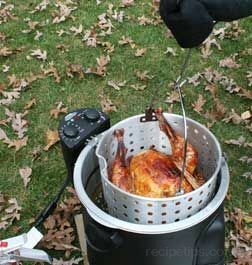 Attach the lifting hook to the handle on the basket or to the loop on the turkey stand. Wearing long oven mitts to protect hands and arms lift the turkey up and place it in the hot grease. If necessary, use two people to lift the turkey carefully into the hot oil. 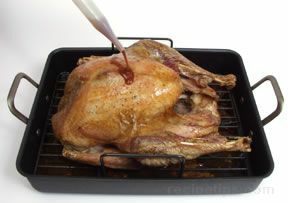 If using a propane gas cooker, you must turn off the burner while placing the turkey into the oil. Start lowering the turkey very slowly into the hot oil. The oil will begin to bubble and splatter as the turkey is lowered into it. Be careful to watch the level of the oil as the turkey is lowered into the pot. Do not allow oil to overflow the edges. Continue to slowly lower the basket into the hot oil until it is completely immersed. Detach the lifting hook from the basket or stand. Once the turkey is placed in the oil, the temperature will drop. Adjust the heat so the temperature of the oil reaches 350°F for cooking the turkey. Heating the oil to 375°F to start with will allow the temperature to reach 350°F faster once the turkey has been placed in the oil. Place the cover on the cooker. The cover will help the oil come back to the proper temperature quicker and will protect against oil splatters. It is important that the temperature of the oil is maintained at 350°F. Do not allow the temperature to drop below 325°F. If the oil is not hot enough the turkey will soak up the oil and not cook properly. 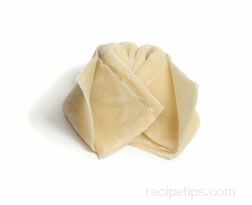 If too hot it will burn on the outside before the inside is cooked thoroughly. Keep the temperature below 375°F. Many oils have a flash point of 425°F, which if reached, increases the risk of fire. Once the temperature of the oil is back up to 325° to 350°F start timing the cooking process. Cooking time is figured at a rate of 3 minutes per pound plus 5 minutes. Be sure to monitor the temperature of the oil throughout the cooking time. Increasing or decreasing the heat when necessary. When the turkey is done it will have a nice browned outer surface and the turkey will float to the top. 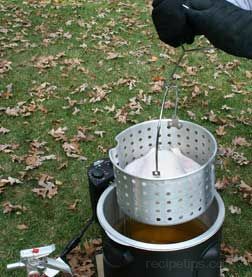 Wearing long oven mitts attach the lifting hook to the basket or the loop on the turkey stand and lift the turkey out of the hot oil. If necessary, use two people to lift the turkey out. 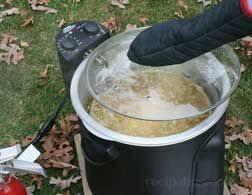 Lift the turkey out of the oil and allow the oil to drain from the turkey while holding it over the pot. If working with a propane gas cooker, turn the burner off before removing the turkey. 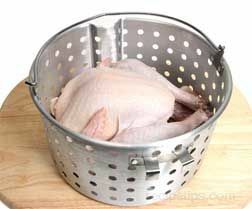 If using a basket with a drain clip, attach it to the edge of the pot and let the oil drain from the turkey. 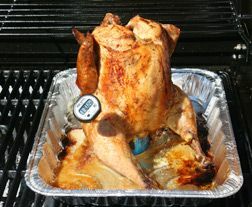 Check the turkey for doneness using a meat thermometer. The breast should reach 170°F and the thigh should reach 180°F. If the turkey is not done, place back into the hot oil and cook for an additional 5 minutes. After draining the oil, place the basket or turkey stand in the cookie sheet that is lined with newspaper or paper towels. 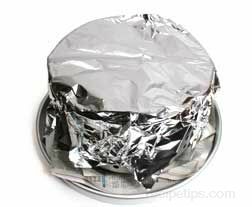 Wrap the turkey loosely with foil and allow it to rest for at least 15 minutes before carving it. 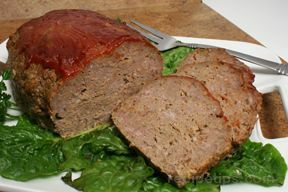 This allows the juices to be reabsorbed back into the meat. After the turkey has rested, remove it from the basket or turkey stand. 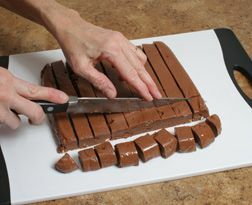 It is then ready to be carved and served. If the oil is cared for and stored properly, it can be used 3 or 4 times before being discarded. It must be cleaned after each use. 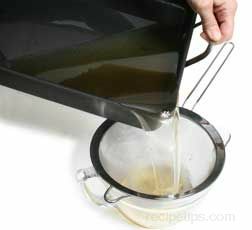 Each time it is reused it may need to have additional new oil added to bring the oil level up to the proper level for frying. 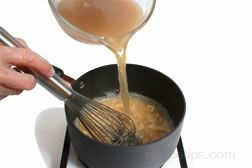 Allow the oil to cool completely before draining or removing from the cooker. 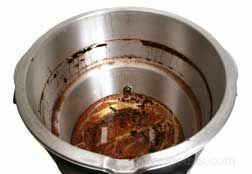 When removing the oil from a cooker that does not have a drain value for draining the oil, the oil will have to be scooped out of the pot. 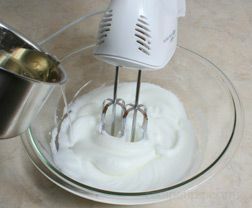 Place a strainer in a large bowl and line it with cheesecloth. Scoop out the oil and pour into the cheesecloth lined strainer. 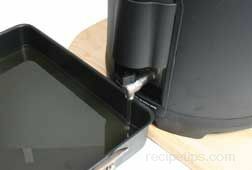 If cheesecloth is not available a coffee filter or a couple of layers of paper towels can be used instead. If the cooker has a drain valve, Use a pan to drain the oil. 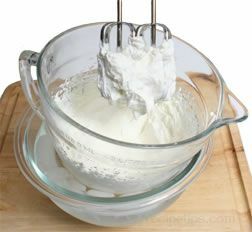 When the pan is partially full turn the valve off and pour the oil into a cheesecloth lined strainer that is place over a large bowl. 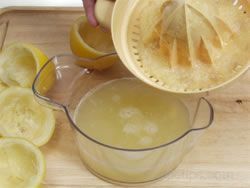 The cheesecloth lined strainer will filter out all the particles form the oil, large and small. 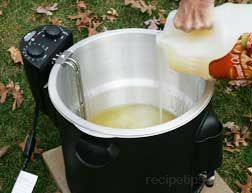 If the turkey has not been breaded or seasoned much before frying, the oil many not require filtering. 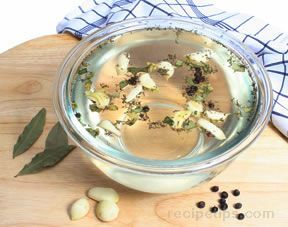 Strain the oil through a strainer without the cheesecloth to strain out any large particles that accumulated during the cooking process. 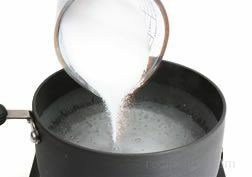 If the cooker has a drain valve, drain the oil down to the point where it will not drain through the valve any longer. The oil left in the cooker will contain most of the sediments from the oil and can be discarded. After the oil has been cleaned, pour it back into its original containers for storage. Using a funnel, carefully pour the oil back into the containers. Be sure the oil is completely cooled before pouring back into plastic containers. Also, do not place cover on the container or refrigerate unless completely cooled, otherwise moisture may build up inside the container and cause the oil to deteriorate more rapidly. Be sure the oil is covered before storing. The oil can be stored in a cool dark area if it is going to be used within a month. For longer storage, the oil can be stored in the refrigerator for several months and to extend storage further, place it in the freezer. Note: When chilled the oil will thicken and become cloudy in appearance. 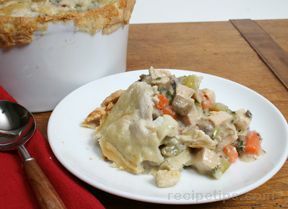 When reheated, it will return to its normal consistency and color. There are several signs that indicate the oil is deteriorating. When any of these signs are recognized, the oil should be discarded. Some of the signs of deterioration are listed below. When the oil has a rancid smell or it begins to smell like the food that is cooked in it. The oil will darken more with each use but the darkening color does not necessarily indicate the oil is bad. When the oil has darkened and has a bad odor, it should be discarded. When the oil starts foaming on the surface. When the oil smokes excessively before it reaches 375°F. If the oil does not bubble when food is added. If the oil shows any signs of deterioration, it should be properly disposed of and all new oil should be used. Listed below are suggestions on how to dispose of the used oil. Be sure oil has cooled before handling it. DO NOT THROW THE COOKING OIL DOWN THE DRAIN. Cooking oil poured down the drain will eventually cause problems with the plumbing. Pour the cooled oil into the original plastic jugs that it came in. 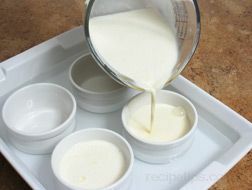 You can also use plastic milk jugs. In many areas the jugs can then be thrown in the trash for general collection. Check with your local municipality to be sure this is acceptable. The oil can be taken to a local landfill. Used cooking oil is biodegradable so it can be composted with other food scraps or if you have a garden or other area in your yard where a hole could be dug, you could bury the oil. 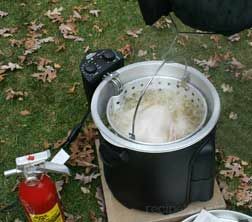 Because of the size of the cooking equipment and the large quantity of oil required, deep-frying a whole turkey should never be attempted indoors. 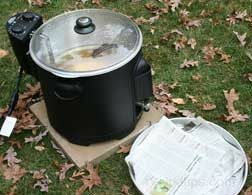 Pieces of turkey meat can be safely deep-fried indoors using traditional equipment such as a small pot on a stove top or a small deep-fat fryer. The deep-frying equipment should be used a safe distance from all combustible substances. Never place the cooker on a deck, near any building, or on a table. Be sure it is setting on a level surface. A level dirt or grassy surface would provide an area that you would not have to worry about stains from oil splatters. If using an electric cooker and you must use an extension cord, be sure you select a spot where there will be no chance of someone catching the cord. The extension cord should be as short as possible and be sure it is rated to handle the wattage of the cooker. Do not overfill the pot with oil. 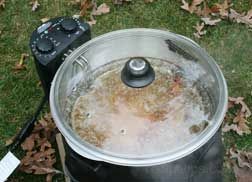 When the turkey is placed into the pot, the oil may spill over the sides and ignite the heating unit. Measure the amount of oil needed according to instructions above. When using a gas cooker, the burner should be turned off while the turkey is placed in the hot oil just in case the oil would overflow. Once the cooker is turn on to start heating the oil, do not attempt to move it and it should not be left unattended. Do not allow children and pets near the cooking area. The temperature of the oil should be closely watched. Once it reaches 450° F it will heats up very quickly to its flashpoint, which may cause the oil to ignite. Do not heat the oil above 375°F. If the oil begins to smoke, turn the cooker off immediately. If using a thermometer to check the temperature of the oil, be sure that it is working properly before using it. Be sure the turkey is completely thawed. If it is not completely thawed when it is inserted into the hot oil, it may cause the oil to spill over because of the reaction of the hot oil to the ice crystals in the frozen bird. 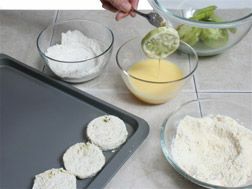 Any utensils and equipment that come into contact with the hot oil must be thoroughly dried first. Moisture on the utensils will cause splattering when brought into contact with the hot oil, which can be dangerous. A long sleeved shirt and long heavy oven mitts should be worn to protect arms from the heat and splattering oil. Be sure to wear shoes to protect your feet. Make sure the turkey is as dry as possible before it enters the hot oil. Place the turkey into the hot oil slowly and carefully to prevent splashing or spilling the oil. 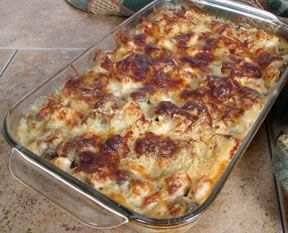 After the cooking is completed, the oil should not be transferred to another container or disposed of until it has completely cooled. It is extremely dangerous to pour the oil from the cooking vessel until it has cooled. Several hours may be required for the large quantity of oil to cool properly. Do not add stuffing to the cavity of the turkey when deep-frying. 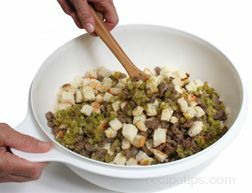 The stuffing will not cook properly. Do not salt the turkey before deep-frying. The salt will draw out moisture to the turkey's surface, which will cause splattering when the turkey is placed in the hot oil. Salt the meat when you are ready to eat it. 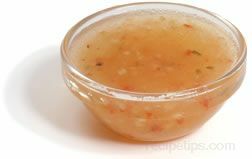 Remember to measure the amount of oil you will need by placing the turkey in the pot and covering with water before you marinate, bread or season the turkey, otherwise the flavoring agents will be washed off in the water. Be sure to maintain the proper cooking temperature of the oil. If it is not hot enough, the turkey will absorb the oil and be greasy. 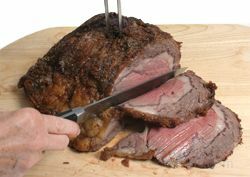 If it is too hot, surface will brown too quickly and the meat in the middle will not have had a chance to cook to its proper temperature. Do not overcook the turkey. 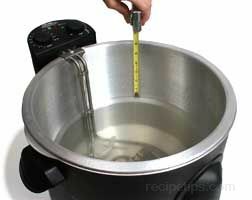 If the oil maintains the proper temperature, 3 minutes per pound plus 5 minutes should be sufficient. 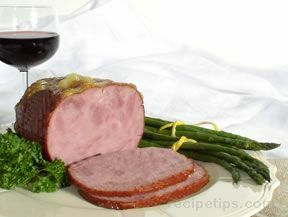 If the turkey is cooked too long, the meat quickly becomes dried out. Heat the oil 10° to 15°F higher than the desired cooking temperature. This will help bring the oil back to the desired cooking temperature faster when the turkey is added and the temperature of the oil drops. Wash hands and utensils that are exposed to raw turkey through out the prep and cooking process to prevent cross contamination. 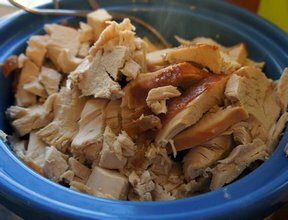 Refrigerate leftover turkey within two hours of cooking. "Cook22, I am a Southern Reneck. I'm also a retired Submariner who operated, performed maintenance, and repaired some very technical and potentially dangerous equipment, machinery,and systems. Your warning concerning deep frying a turkey is valid where idiots are concerned. For those more intelligent folk like those who can operate a car, run machinery, operate powet woodworking tools, operate a hammer, chew gum and walk at the same time...these fryers can be operated safely. So, we Rednecks are not in any danger....you? Follow the instruction and use your head, safety doing anything is paramount." 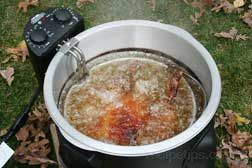 "Deep frying a turkey is a redneck invention if there ever was one. How many other ways to cook something pretty much dictate that you have a fire extinguisher VERY near by? All it take for a disaster you do NOT want to deal with is for a child to trip over the propane tank and knock it all over, or hit the fryer itself. Either way you've got a GIANT fire if the oil is hot enough to fry, and most likely burnt humans, not just the turkey. This way of 'cooking' rates right up there with trucks that are so high from giant tires, that you honestly need a step ladder to get in and out of one...unless of course you can fly, but I digress. 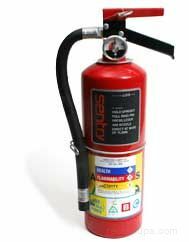 For the sake of you sanity and the safety of your or your neighbors children(including the "children" that are using one of these, PLEASE stop before you even buy one. Like the saying about Corvairs back in the day by Ralph Nader, he said they were unsafe at any speed. These turkey fryers are unsafe in the hands of ANYBODY! There are too many variables that could go wrong in a split second, and as a former roofer that worked with tar that was 4-500+ degrees, and then a legitimate cook for decades, I know how fast things can go wrong and people end up permanently disfigured for LIFE because of flammable liquids. Just be NORMAL and use an oven like most NORMAL people do, and DO NOT buy these death traps! Would you like to see YOUR kid scarred for life just because you wanted to "run with the big dogs"?? Didn't think so. Oh yeah...if one of your neighbors kids gets severely burned by your new pos toy, you can and probably WILL get sued!!" 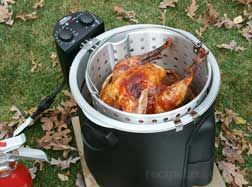 "I just got a new turkey deep-fryer and wasn't sure where to start. This article was just what I needed. It gives step-by-step instructions that are easy to follow. Now I am anxious to try it out . . . maybe this next weekend!"